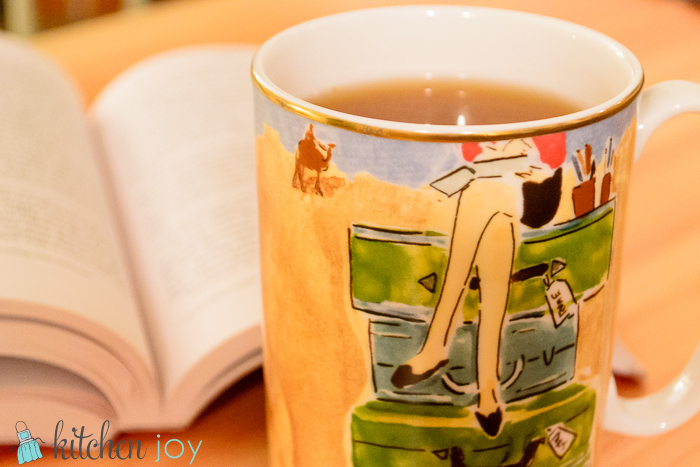 While Hubby was out hunting this weekend, I stayed warm with a good book and a delicious cup of spiced apple cider. Perfection. On that note, I highly recommend (if you’re a food nerd) the book, As Always, Julia : The Letters of Julia Child and Avis DeVoto edited by Joan Reardon. There is something special about two strangers becoming pen pals for the span of 8+ years, and collaborating on what would become a monumental masterpiece in American cooking history. In a time without Internet, cell phones, food blogs, etc, the fact that these two kept in such constant contact and did such tremendous research about every little detail regarding the making of Mastering the Art of French Cooking, but also with current events, etc. Their unlikely friendship was so fun to follow along with, so interesting to read about the difficulties with getting their book published. Hard to imagine what cooking in America would be if it hadn’t been. They seem like such fun ladies, very hard workers, and spectacular friends.